We offer a large selection of Hang Tabs. You can search many types of Hang Tabs and 3M ScotchPad Hang Tabs. 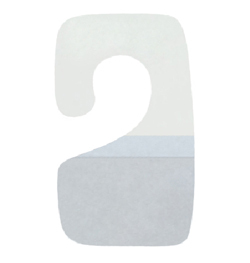 Hang Tabs with round hole with approximately 36 tabs per sheet; 14 sheets per bag are self-adhesive, round plastic tabs that adhere to many different types of materials such as poly, chipboard, and more. The Scotchpad hang tabs with j-hook can create instant hanging displays. 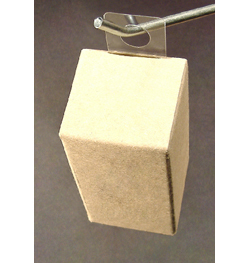 The pressure-sensitive adhesive on the plastic tabs attaches to small boxes and bags.